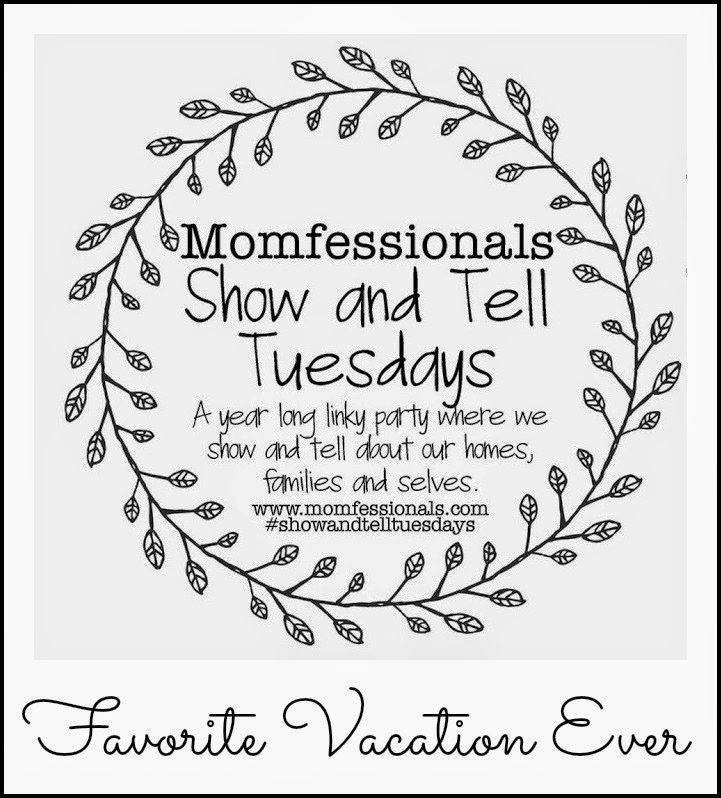 Today I am linking up with Momfessionals to talk about my favorite vacation ever! I think I have had the traveling bug all of my life. There has never been a destination that seemed too far away or unattainable. I took my first flight at the age of 5 visiting my Uncle Clint in Phoenix and have been hooked ever since! My mom was so gracious to constantly take me here and there and encourage as many trips as possible. From simple vacations like the beaches of Florida to spending three weeks in Europe when I was 16 years old. So so thankful to have been afforded the opportunity to see so many new and exciting places and now have a husband that shares my traveling desires! And that's why my favorite vacation was our month long honeymoon in Europe! I'm just going to talk about our 2 weeks of back packing. The other two weeks with Cruise Gran will have to be saved for another post! First stop - Paris, France. Such a magical and romantic place to begin our honeymoon!! We budgeted ourselves to $100 a day for food/drinks/museum entries/souvenirs. So we had a lot of meals like this and I was not upset about it at all!! I could live off meat, cheese and wine! We purchased a Euro-Rail pass that allowed us to travel to 5 congruent countries. We spent a lot of time of trains.. sleeping, eating, reading or checking out the country side. I read 5 books during those two weeks! Next stop - Munich, Germany! Such an awesome contrast to Paris. We were ready for some beer after all that wine in Paris! We met some guys from LSU at our hostel and headed out for some German cuisine. It was great to finally speak English again and get some German grub with our new friends. We didn't get to see any events, but we did get to check out the site of the Munich X Games. Destination #3 - Prague, Czech Republic. We had a little apartment instead of a 6 person hostel room. AJ was so excited to get back in the kitchen! Each night we picked up some fresh veggies and a meat or pasta at a road side produce stand and came home to cook. The architecture of Prague was by far my favorite of the entire trip. I fell in love with this city - it has absolutely been added to my "Go Back To" list. This. Castle. ahhh it was beyond gorgeous. It was built in 870 and houses the Czech President. It is the largest castle in the world - almost the size of SEVEN football fields. One night we went to the famous 5 story bar in Prague - Karlovy Lazne. The basement was a really cool ice bar! The next country we hopped over to was Austria! We stayed in the city of Vienna. We did not have international service on our cell, so Google maps was not an option. We did a LOT of this over those two weeks. The famous Vienna dessert - Sachertourte. We usually did a lot of sight seeing in the mornings and had dessert and coffee wine in the afternoon. Vienna is the country's capitol and largest city. However, they have a super high tech rail system that makes getting around the city a breeze. We easily saw all the high-points in 3 days. Our trip from Austria to Croatia was hell on Earth eventful to say the least. We were on a portion of the train the disconnected and went to Italy in the middle of the night. Upon realizing this around 3am, we hopped off and tried to figure out a game plan. One bus, three trains, and eight hours past our scheduled arrival, we finally made it to Croatia! Talk about a test of your marriage wayyy too early on! We actually just laughed and laughed that day, because what else could you do?? Look. At. This. All of the headache was so worth these gorgeous views in Rijeka, Coratia! Absolutely breathtaking. Croatia has gone on my "Go Back To" list as well. I would love to yacht up the coast during Yacht Week- I will let you know when I win the lottery, ha! This meal was our favorite of the entire trip. We still talk about it to this day!! Not a single person spoke English in the restaurant, they just brought over a huge pan of raw fish and motioned for us to choose. It was OUT OF THIS WORLD. I was able to find it on Google Maps and recommend it to our cousins who are are going to Croatia this summer. I could go on and on and on about this vacation. It was a trip of a lifetime. I doubt AJ and I will ever be able to take a month off from our lives to do something of this magnitude ever again. Even though we had both traveled abroad before, this was such an adventure. We were alone, no cell service, did not know the language or currency or where our next meal was coming from.. This trip was such an amazing start to our marriage and there isn't a single person in this world I would want to do it it with besides him. After Croatia, we hopped on a plane to Denmark to meet up with SEVENTEEN of AJ's family members for a two week Norwegian cruise. I will absolutely have to tell you guys about it soon! Wow!! That is amazing. I am with you on the love of travel thing. So much fun. A month long honeymoon - you guys did it right!! All your photos are so great! It looks like the best time! What a fun trip! I feel like I should now add backpacking across Europe to my bucket list. What a great experience! Looks like such a fun trip! !